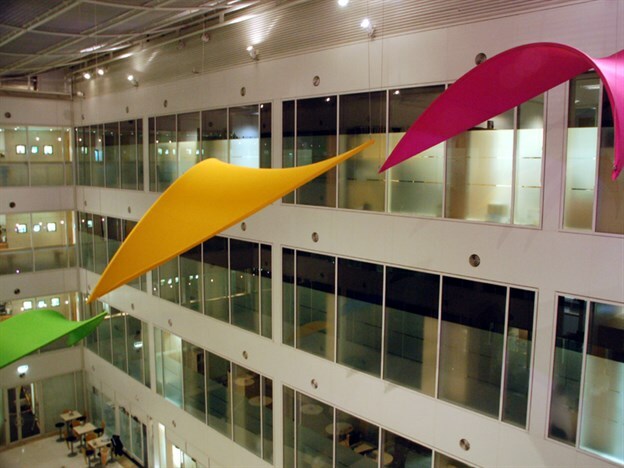 Commissioned by Artworks, this installation was part of Reckitt Benckiser's new branding. 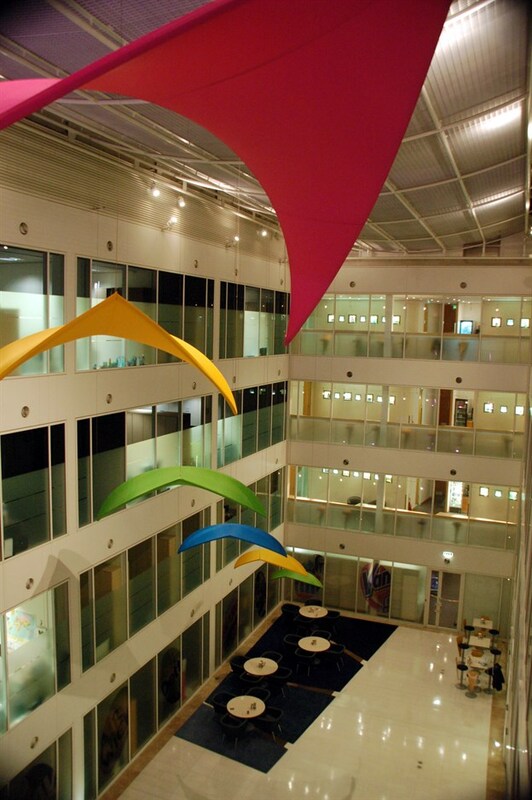 Installed in Slough, these kite like forms were designed to reinforce the client's new branding in one of their key London locations, projecting free movement and flight through their atrium space. 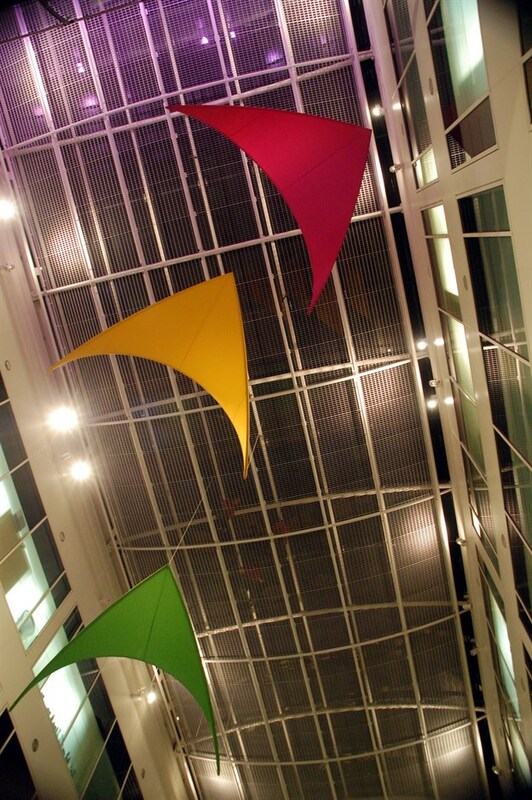 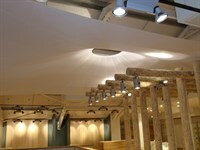 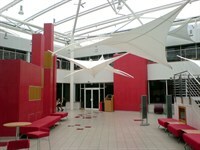 The kite-like shapes are formed using powder coated steel frames, skinned in fully printed nylon fabric.